Concrete Landscape Architecture | Looking Good Landscaping ""
When considering landscaping options for your home or business, don’t overlook the versatility of concrete. 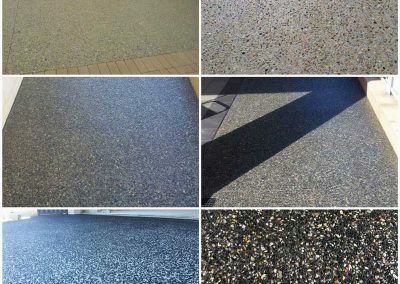 What may come to mind is traditional grey flat concrete, but nowadays concrete can be coloured to create a wide variety of effects. 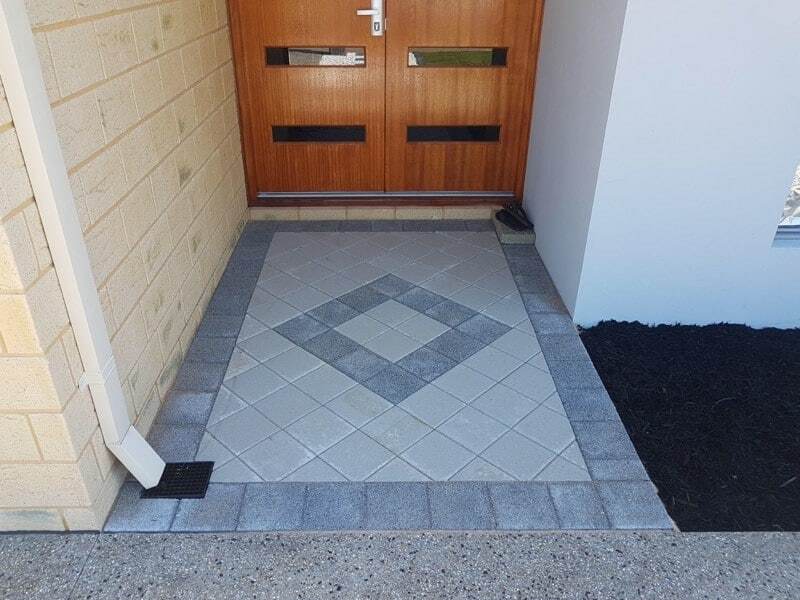 Looking Good Landscaping has been providing the Rockingham and Baldivis area with exceptional service and beautiful landscaping for over 20 years. We have experts that can help you create a unique design for your property that will meet all your needs. Concrete is an excellent material for landscaping, as it can be poured and moulded into almost any shape and style. This allows our design team to create unique landscapes that are creative, functional, and durable. Concrete is available in traditional grey, but can also be coloured before pouring, providing a wide variety of colour options to best suit your home. 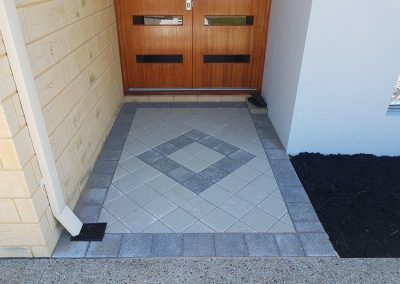 We work with a range of concrete types as well, from grey and coloured concrete, to poured limestone and washed aggregate. Our design team will work with you to understand your vision for the space, and find a material to suit your project and budget, while ultimately creating a beautiful final product. There are several choices when it comes to outdoor hardscaping, and concrete is one of the most versatile options available. 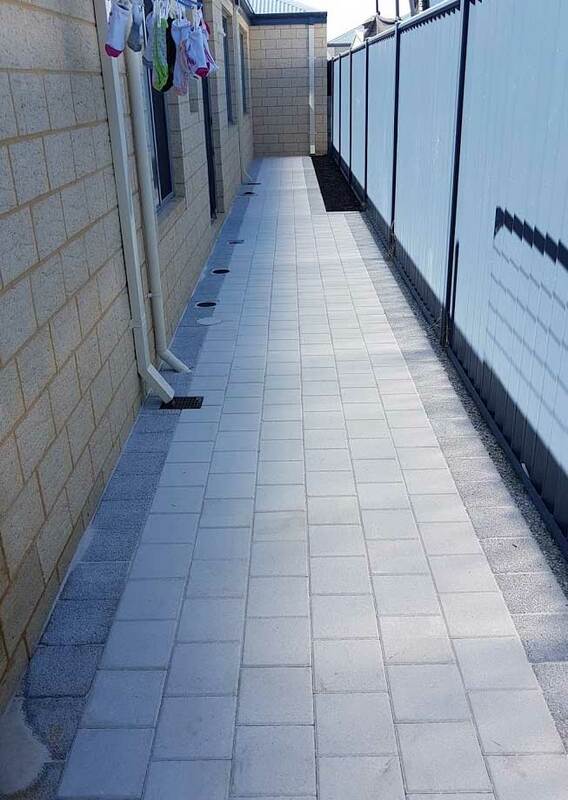 This material is suitable for many situations, including paths, driveways, and alfresco spaces. Concrete is a very adaptable material, and provides many benefits in landscaping projects. Laying concrete to create patios and driveways is an affordable low cost option for large spaces. 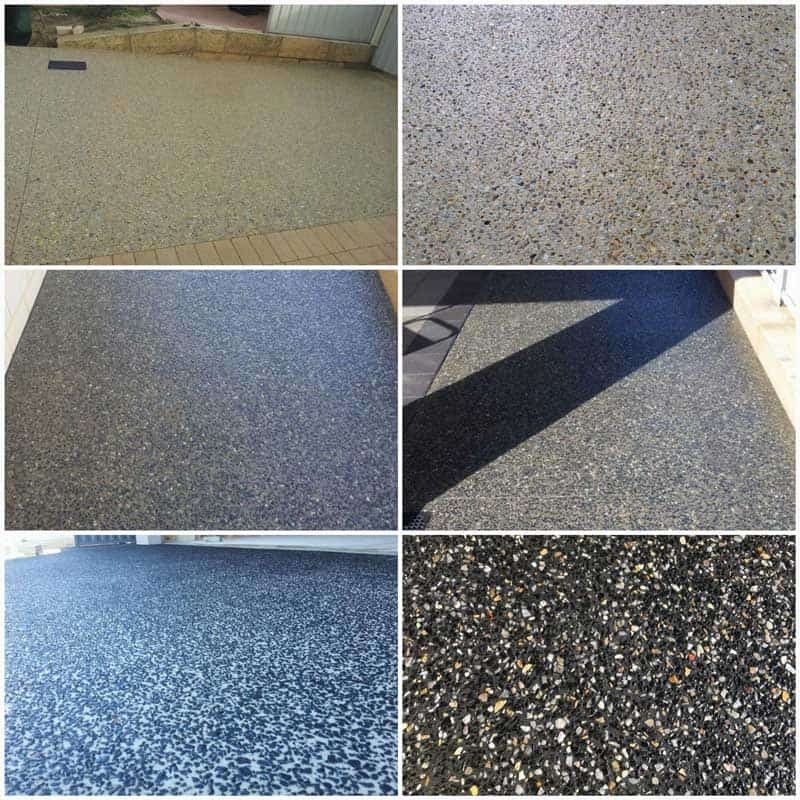 This is a durable material that is hard wearing, suitable for patio furniture, bicycles and vehicles. When compared to placing lawn, a concrete space is low maintenance – no need for watering or weeding. 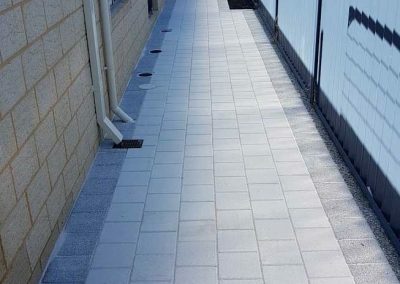 The solid composition of concrete means less weeds when compared to pavers, which often see plants taking hold and growing between pavers over time. Concrete suits both residential and commercial projects. Looking Good Landscaping have experience in both new home builds and established home renovations. Our team provide exceptional service in all projects undertaken, no matter the size. We are familiar with local regulations, and can help you navigate council applications and permit requests. The hardscape is an important part of any landscape project, and must be well balanced for a beautiful result. Concrete is a versatile, durable material well suited to many projects. Available in range of styles and colours, this material can add function and style to any landscape. Contact Looking Good Landscaping today to arrange a consultation with our experienced team.